John Day 255 - Are You Holding On to What Jesus Has Let Go Of? This section of Scripture seems awkward and much has been done with it. I hope by now we have learned to remain in the Story and seek understanding consistent with the Story. I will admit that the translation does not help in deciphering of what exactly was meant here. Words have been added to try and make sense of the passage. Unfortunately the added words only add confusion. First the context: The eleven are full of fear, guilt, and shame. The guilt and shame are the direct result of their catastrophic failure to stand by and with Jesus in His arrest and crucifixion. Instead they either ran away or stood by and watched while denying with cursing that they knew Him at all. All this after having promised to die for and/or with Him if necessary. Guilt is a powerful life sucking force. Shame is debilitating. Jesus steps into their guilt and shame offering grace and peace. His message and presence convey one simple truth. "I forgive you." 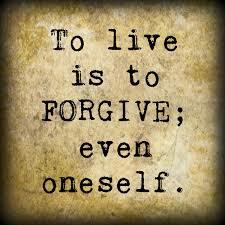 Forgiveness is tricky in that it takes two. Jesus has forgiven them but they have not forgiven themselves. We will see that more clearly as the Story unfolds. This is not just some legal jargon. Unresolved issues in a relationship kill the relationship. The disciples consider their journey with Jesus to be over, not because of Him but because of them. They are unworthy to take another step with Him. Jesus knows how they feel so He comes in peace offering grace and forgiveness. He breathes life back into them. His words "Receive the Holy Spirit" can just as accurately be translated "receive the sacred breath". In other words "Live again!" I believe given the Story this is the accurate rendering of His words. Why? Because look at what He says next: "Any sins you forgive are forgiven and any sins you retain are retained." What Jesus is saying is pretty simple when you stay in the flow of the Story. "I have forgiven you and if you also forgive then it's over and gone and we can move on together but if you don't forgive then the guilt and shame remain and we can never move on." 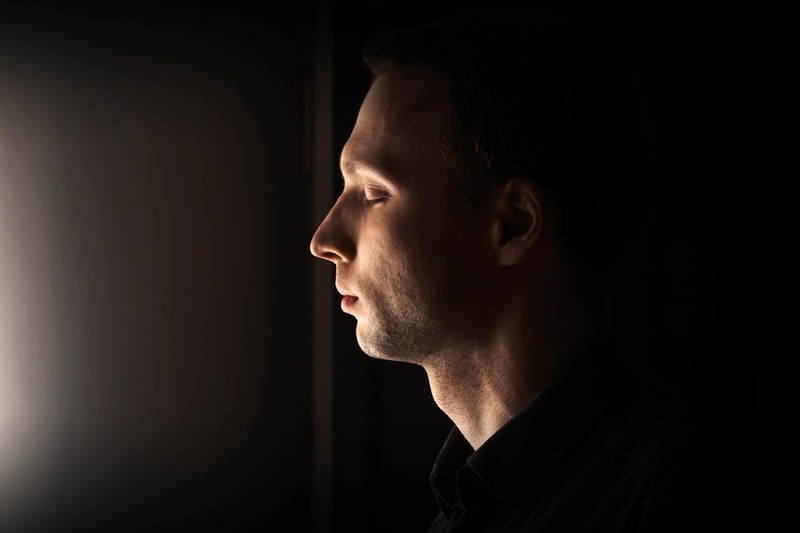 As a pastor I can't tell you how many people I have met who are stuck in their own guilt and shame. I have been there myself. Then one day God kind of hit me over the head with this thought "What makes you so special and elite that I can forgive murderers, adulterers, liars, and traitors but I can't forgive you? Why are you holding on to what I have already let go of?" John Day 254 - Mission Impossible? I have been wrestling with the implications of Jesus' words. Considering the scene in which He spoke them it is quite a statement. First Jesus was an outsider from birth. He never "fit in". He had no known father. He lived on the wrong side of the tracks. He was poor. His step dad died when He was young and that's just the circumstantial stuff. From the age of 12 He was at odds with the widely accepted teachings of His religion (Judaism). His own family including His mother (who fully knew the miraculous nature of His birth) felt His views were off. More than once they tried to correct His course. After His first sermon in His home church they tried to kill Him. There was no one among His followers that had any credibility or status in society. The only one who came close was Judas and we all know how that ended. Several times assassination attempts were made. Constantly His teachings annoyed, confused, and angered the mainstream Jews. Constantly they tried to set Him up, or trap Him with questions or scenarios to either discredit Him or create grounds to arrest Him. From town to town and country to country He healed the sick, encouraged the outcasts, and even raised the dead. He appealed to people to look beyond this world and consider His Father’s kingdom. He presented old teachings in a new light. He spoke with authority in a way they had never seen. Thousands hated Him but thousands more were drawn to Him. His own disciples were at times speechless at His words and actions. They couldn't figure out why He didn't try harder to get along with the religious leaders. They kept waiting for Him to rise to power as king but He never did. From grassy knoll to sick besides He kept sharing a picture of God and His kingdom they had never seen. He elevated the status of women. He welcomed hated gentiles, foreigners, and even Roman soldiers. He ate with tax collectors, prostitutes, and sinners. His actions on behalf of the disenfranchised were not appreciated by most including His disciples. In short He was an outcast among His own. Misunderstood, He was constantly opposed or at best questioned. He was a misfit standing essentially alone against the world. Worse His most violent opposition were those who should have been His greatest supporters. "As the Father has sent Me into the world I Am sending you..."
John Day 253 - Jesus Are You Crazy?! 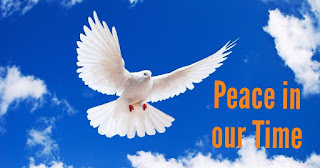 19 Then, the same day at evening, being the first day of the week, when the doors were shut where the disciples were assembled, for fear of the Jews, Jesus came and stood in the midst, and said to them, “Peace be with you.” 20 When He had said this, He showed them His hands and His side. Then the disciples were glad when they saw the Lord. For several days now I have been brought morning after morning into this room and this moment. Each day seems to add another emotion to the scene. People often ask me how I can see so much in a single verse or series of verses. It is because I am learning to linger. I am learning to ask questions. I am learning to insert myself into the Story. I am learning to sit at each seat in a room like this one and consider the moment from each person’s perspective. Fear had gripped them all, understandably so. Yet in that fear they didn't want to be alone. From a practical point of view they would have been safer alone. A group is more noticeable and harder to blend in or hide. This group of men has been together for years. They have argued and fought. They have jostled for position. Despite the ups and downs at this moment of crisis they have come seeking each other. That in itself is a powerful reality. They recognize their need of each other. Their proud boasts are silent now. Egos have been literally stamped out by the whole ordeal. Peter has had the biggest mouth and now feels the greatest shame. He speaks loudest now by his silence. As they cower in fear and shame Jesus appears among them. What will He say? What will He do? How opposite from us. We would have attacked them likely. "Where were you when I needed you?!! Three years and more I have poured my soul into you guys and this is what I get in return?!!!!" But there was no such sentiment, much less words. "As the Father sent me, so am I now sending you..."
Excuse me? Jesus have you lost Your mind? These eleven cowards, full of themselves and little else are going to carry on Your mission?!!! If we find that hard to believe I can assure you they find it to be even more ridiculous. The biggest question that comes to my mind from all of this is "Why? Why is Jesus investing so much in them at so much cost to Himself? Why is He not holding them accountable for their colossal failure? Why is He letting them completely off the hook and worse promoting them? Why, why, why..."
55:8 “For My thoughts are not your thoughts, Nor are your ways My ways,” says the Lord. 9 "For as the heavens are higher than the earth, So are My ways higher than your ways, And My thoughts than your thoughts." 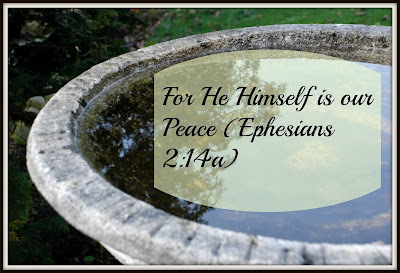 Where we would come out guns blazing Jesus comes with the words "Peace to you." Several years ago I watched a program about cold cases where new evidence opened up unsolved criminal investigations that had long been dormant. Many were made possible by the technology of DNA analysis. I particularly remember the police coming to this man's door about two decades after the crime was committed. The look on his face was telling. It was a mix of 'you got me' and expectation, and... relief. In an interview later he made a statement to the effect that the last twenty years of looking over his shoulder and wondering when "they" would come for him was a sentence and prison of its own. For those who are truly sorry for their actions no punishment is necessary. The guilt and shame is its own punishment. What they need is a release from this prison of guilt. We think they need to "do their time" but His thoughts are not our thoughts and His ways are not our ways. Where we retaliate He restores. Why? Because our well-being is more important to Him than His own. John Day 252 - Glad? 20:19 "Then, the same day at evening, being the first day of the week, when the doors were shut where the disciples were assembled, for fear of the Jews, Jesus came and stood in the midst, and said to them, “Peace be with you.” 20 When He had said this, He showed them His hands and His side. Then the disciples were glad when they saw the Lord." Last night I was part of another conversation about different Bible translations. While it is true that some are better than others, it is also true that the Story is found in all translations. What is even more important to remember is that even the best translations will miss certain nuances because different languages do not always have equivalent words. Today I want to bring one of those out but first I want to explain how it happened. It did NOT happen because I am a Greek expert. It happened because I was following the Story. As we covered yesterday the eleven are huddled in fear. They are also drowning in grief and disillusionment. This was not supposed to happen. Jesus was not supposed to die. However, far worse than His death not fitting their religious/theological expectations, they missed Him. He was their master. They were His disciples. Their entire lives revolved around Him and now there was this huge hole where He used to be. On top of the fear of the angry mob and the sadness, they also were feeling incredible guilt. They had all promised they would stand with Him but when the pressure came they all fled. Now they are living with the knowledge that they abandoned Him when He needed them most. It is into this somber place that Jesus comes. You have to realize/remember that we project our character and feelings onto others and onto God. We expect them to treat us as we would treat them had they done what we did. Because of their abandonment of Him and the subsequent guilt, they expect Him to be angry, even vengeful. Remember Adam and Eve huddling in fear in the garden trying to hide from Him? Same deal. Now taking all that into consideration I found the English translation odd. It just says "They were glad when they saw the Lord." It seemed weak to me. It didn't match the intensity of the situation. It didn't fit the Story. For that reason I looked up the literal definition of the Greek word that was translated 'glad'. there is no English equivalent. The Greek word comes from the same root as the Greek word for grace. It means to be happy because of grace. Now do you see how it fits the Story? Try were expecting some kind of anger or punishment or worse disappointment from Jesus. They expected it but it never came. Where vengeance could have been they got grace and they were glad. Grace. For treason they got grace. For failure they got grace. For cowardice they got grace. 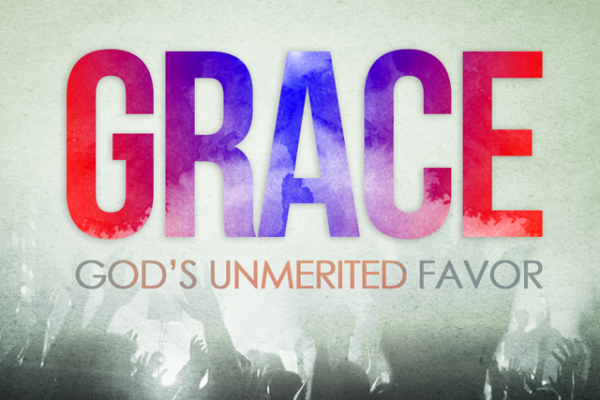 The disciples found grace and favour when they saw the Lord. That's the translation of the Story. Stop sweating the trees and embrace the forest. Follow the Story and you will find the heart of God. John Day 251 - What a God! 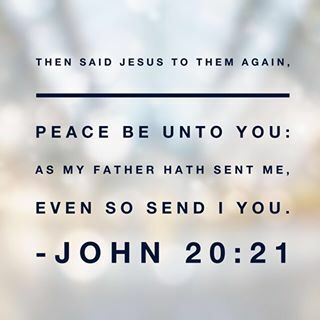 20:19 Then, the same day at evening, being the first day of the week, when the doors were shut where the disciples were assembled, for fear of the Jews, Jesus came and stood in the midst, and said to them, “Peace be with you.” 20 When He had said this, He showed them His hands and His side. Then the disciples were glad when they saw the Lord. We serve a considerate God. He is not demanding nor unreasonable. On the contrary He works with us step by step. Our fears and doubts are not obstacles to Him. He doesn't reprimand us for not 'getting it' on the first try. First of all His eleven (Judas is no longer with them) are holed up in a "bunker" scared to move. Should they be? Of course not. The same God who opened up the Red Sea before the Israelites and stood up in their little fishing boat and told the weather what to do is still their God. Peter and John have been to the tomb. They know Jesus is alive. Mary has told them that she has both seen and spoken to Him. Despite all this fear is still ruling in their hearts. It has gripped them in a choke hold and paralyzed them. These are His eleven. He has invested more time and energy in them than in anyone else. The future of His mission rests on them and they are cowering in fear, locked in a prison of their own making. I have to say unequivocally that if I were Jesus I would be ticked off. Don't they know He can raise the dead? Have they forgotten He can feed thousands with a single lunch? Have they forgotten all His promises? What happened to "In this world you will face trouble but be of good cheer for I have overcome the world!" He just said that to them a few short days before! If I were Jesus I'd be tempted to crash down the 'secure' door and give them a little pep talk. But thankfully Jesus is wiser than I am by an infinite amount. He doesn't crash down the door. He doesn't even open the door. He just walks through the door. Why? Initially this only increases their fear. It would certainly freak me out. But before they need defibrillators He speaks peace and then shows them His scars. Scars He didn't have to keep by the way. In His resurrected body that can pass through doors and travel through space He could have had flawless skin. He chose not to. He chose to keep the marks that forever link us to Him. The prophet Isaiah wrote about Jesus: "Will nursing mother forget her child? She might but I will never forget you. See I have engraved you on the palms of my hands." Jesus kept the scars. They bind us to Him. The disciples immediately relaxed. The fear melted away. It was really Him! His entrance sent the message that He is able to abundantly above all that we ask or think. As my favourite author wrote: "He has a thousand ways to do things of which we know nothing." 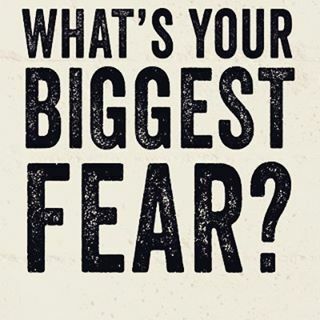 Fear had causes temporary amnesia. They had blanked out on His abilities and saw only their enemies. Knowing they needed encouragement more than a lecture He came as God, not bound by time, space, or shut doors, but presented Himself as the slain Lamb. My kids would be better off if I learned this lesson. Sometimes they should know better but sometimes I should react differently. We serve a Mighty God who knows when to be Mighty and when to be gentle. The scene is one of fear, a fear that likely none of us have ever know. It is the fear of being hunted. Worse it is the fear of being hunted in your own home by your own people. In today's language we would classify these men as refugees no longer safe in their own country. Jesus said this would happen. He said He came to bring a sword. He said His very presence would draw a line in the sand and make enemies of those who were once friends. He even said the day would come when "men will kill you and think they are doing God a favour." ISIS and other groups we call terrorists fit that category. They literally believe they are doing God (Allah) a favour. Picture these men, a mix of fishermen, tax collectors, and other ordinary guys, locked in a room hoping they aren't found until they come up with a plan. Into this scene comes Jesus. He enters the room without opening the door. He announces His presence with the words "Peace be with you". Peace? Is this a joke? You said you came to bring division and remove peace and now that it has happened you're talking peace? What peace? Do you remember His parting words in chapter 16? Jesus can't be more plain. He is not talking about the peace of everyone being in agreement. He is not talking about the peace of relaxing on the beach when all is well. 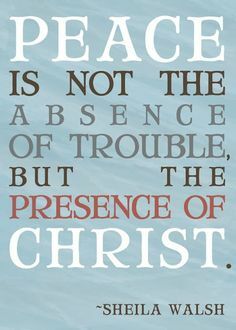 He is talking about a peace that passes understanding, a peace that runs far deeper than circumstances. He is saying "Even when you all abandoned Me while the world turned on Me, I was ok because My Father was with Me. I want you to have that same peace and confidence in Me. When the world throws everything it has at you I want you to be able to say "Into Your hands do I commit my life." There is a lot of "Love Jesus and everything will be ok" preaching going on today. Jesus said "You will have major trouble if you walk with Me." There is also a lot of fear mongering going on in politics and in religion. Jesus said "Fear not nor be dismayed. I will be with you always, even to the end of the age." Peace heading into the furnace. Peace while being lowered to lions. Peace when being dragged before the council or sitting in a Roman prison. Peace while shipwrecked. Peace while being flogged. Peace. His Peace. When Jesus walked through the wall into that room in His resurrected body He was literally saying "I Am with you. 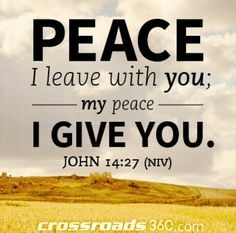 I Am your peace." If God be for us who can be against us? What can man do to me? Why is Jesus offering peace if He already said He didn't come to bring peace but a sword? Maybe we ought to consider what His sword is first. Some of you already know and now the rest of you know that God's sword is His Word. His Word is His Son. So Jesus Himself is the sword and His very presence and character cause division. Some stand firmly with Him while others stand determinedly and violently against Him. Before Jesus showed up the Jewish nation was united. They were expecting a Messiah, a deliverer. He was going to be mighty and raise the nation to greatness again. The power of the Romans would be broken. He would sit on the throne of David and be more successful than Solomon. Peace and prosperity would abound. Let the good times roll. Then Jesus showed up. He spoke about character issues. He reached out to the disenfranchised. He crossed borders and showed compassion to hated foreigners. He had no interest in politics or in working with the corrupt religio/political establishment. He respected Roman authority. He even helped a centurion. He respected women and involved them in His work. He ate with prostitutes, tax collectors, and sinners. The nation became confused. The peaceful unity they had enjoyed was gone. Some saw in Him hope and light. Many others wanted Him dead. The truth is there are two kinds of peace. The first kind is the peace of agreement. It is achieved by getting everyone to think the same way. Sometimes this is ok but it's lethal when everyone is comfortably united in believing a lie. It pains me to bring this up but it illustrates the point perfectly. The great German reformer Martin Luther was one of the most influential men of European history. He took the Word of God and stood up against a corrupt Church. His stand brought conflict to homes, churches, nations, and an entire continent. However Martin Luther had a blind spot in his character. He was a hater of Jews. He wrote books about it. Because He was so influential and revered by the German people, his prejudice fueled theirs. The Holocaust under Hitler would have been impossible had the seeds of hatred not been planted and watered by Luther and his books. Today a new hatred is forming in North America against Muslims. People who think alike on the issue are banding together. Political aspirants are using this common fear and growing hatred to rally support. History has proven that peace based on lies that unite people will end in bloodshed and regret. The Jews of Jesus' time were taught to hate everyone but Jews. They saw their Messiah as one who would elevate them above the nations. National pride and prejudice against all others united them but it was a unity built on lies piled up over centuries. John Day 248 - Peace Talks? Peace - It is a common word. As far back as I can remember the world has been in search of peace. In my elementary school we celebrated World Peace Day every year. Now called International Peace Day it falls on September 21st. More than anywhere else the world's focus for peace and peace talks seems to center around the Middle East. Ironically whether you subscribe to the Biblical account of creation, theistic evolution, or even atheistic evolution, everyone agrees that human civilization began in Mesopotamia, the fertile crescent, the heart of the Middle East. The Bible speaks lots about peace. Just to give you some perspective the word hate occurs 172 times in the Bible. The word love can be found 500 times and peace occurs 397 times. Some of the references to peace are unexpected. In Matthew 10 Jesus told His followers "Do not think I came to bring peace on the earth. I did not come to bring peace but a sword." Paul speaks of "a peace that passes understanding." Take careful note that both of these significant statements were made to His disciples the night before He died. Is it a coincidence that He went to His death speaking about peace to His followers and then the first thing He says after His resurrection is "Peace be with you."? In fact He will repeat it twice more before this brief time with them is over. So what's going on? Jesus says He came to bring a sword and not peace. He said in this world we will have trouble. How can we have peace if He came to bring a sword and guaranteed a life of trouble? It's a key question. It's a question He wants us to ask. If you are familiar with Jesus at all you know He makes provocative statements, even apparently contradictory statements. Here's why: There are two very different kinds of peace. The first is the peace of agreement. As long as we all agree there is peace. This is why when there is no agreement and no peace as a result the two sides that are in conflict are brought to a common table usually with a third party present to enter into peace talks. The goal though usually elusive is simple. You talk until agreement is reached and peace is restored. Not only is this kind of peace elusive, it can also be deceptive. History is full of examples where people were in peaceful agreement that lead to trouble. Slavery is a huge example. The majority agreed that it was OK. There was peace about it for a long time. Peace for the owners that is but peace built on evil will only lead to trouble. 20:18 Mary Magdalene came and told the disciples that she had seen the Lord, and that He had spoken these things to her. believe either until Jesus comes to them Himself and shows them His scars. Bizarre how quick we are to believe our own theories yet slow to believe the account of a friend. Interesting to think about but today we are going to explore something entirely different. By Sunday evening (Luke explains Jesus' delay) Jesus finally shows up where the disciples are. All day they have been torn between their belief that Jesus was alive but gone with Mary's claim that He was both alive and still very much "here". For hours they must have hashed out the possible scenarios, replayed the words He had spoken and tried to make sense of it all. However that's not what we're going to discuss today either. What we're going to focus in on are a few words John writes almost in passing; words you could easily miss yet full of meaning. The disciples have gathered together which is a change from earlier in the day when Peter and John each returned to their own house. Not only have they gathered but they have done so in fear and secrecy and have locked the world out. John even writes about what they are afraid of - the Jews. As I write this Americans across the mid east and east coast are gathering and hunkering down for fear of a massive snow storm. That makes sense. What does not make sense is Jews hiding from Jews. Just forget the immediate circumstances and think about that. Jews are hiding from Jews. Do Canadians hide from Canadians? Do Baptists hide from Baptists? A couple of days ago Trump went to Liberty University and thumped a Bible he clearly doesn't read often based on his misquotes and bizarre comments. He promised in his speech that he was the candidate who would protect Christians "under siege". Clearly he has positioned himself as the guy to save those fearful of a Muslim takeover. However the disciples aren't hiding from some other religion. They aren't hiding from the Romans or some other political nation or force. The disciples are hiding from their own people. Why? You would hide too if the nation and religion you grew up in just brutally murdered the Man you believed to be the Promised One. For centuries and millennia the Jews have talked about Him, preached about Him, wrote about Him, studied what the prophets said about Him and now He's been killed. Whether or not He is alive again and on the earth or gone back to heaven does not change the sentiments on the street. The crowds that cried "Crucify Him!!!" are still out there. If Jesus was considered public enemy number one they are certainly next on the list. What a change from one week ago when Jesus rode into the city on a donkey and the crowds hailed Him as their King. Don't think you are wise in fearing "them" and trusting "your own". Jesus frankly warned that choosing Him would potentially put even family members against each other. The Bible and history and current events all reveal that friends and enemies are not defined by national lines, religious lines, colour lines, tribal lines, language lines, gender lines, or any other lines we can dream up to classify human beings. In the end there are only two groups. 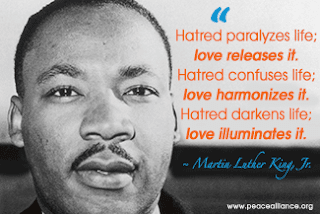 Those who love and those who hate. Those who give and those who take. Those who build up and restore and those who tear down and destroy. The good news? When their lives had been reduced to a bunker and fear was their food and drink Jesus came to them. Love wins. Always. The darkness can't hold back the dawn. spoken these things to her. Did you think about it? Did you consider the impossibility of Jesus taking our punishment on Himself by burning endlessly in fire? If you can see it yet don't worry about it. Mary could only see her version of what must have happened until Jesus Himself showed up and proved otherwise. Now she has returned to tell the disciples what she saw, Who she saw, and they don't believe her either. Ironic isn't it. Peter and John found proof in the tomb that He was alive but she didn't believe them because it didn't fit her story. Now they don't believe her because it doesn't fit their understanding. Jesus told them He was leaving and where He was going they could not come yet. That's why they went directly home from the empty tomb. Jesus was gone and wherever He went they couldn't come. 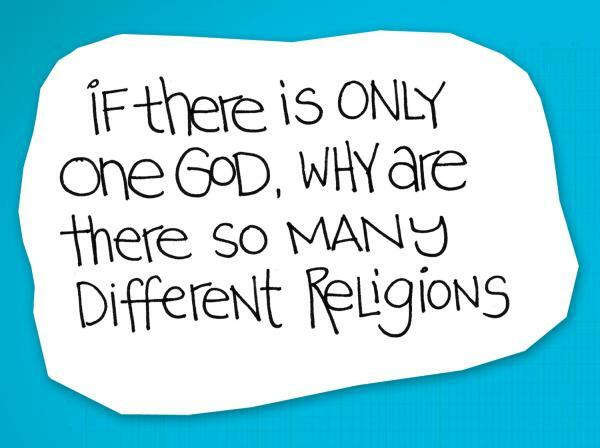 Now do you see why there are so many religions and why religion is such a divisive and sometimes violent enterprise? People are the problem. Some of us are a problem because we have taken a little bit of truth and added a whole narrative to it and we can't see or hear anything that doesn't fit our narrative. Others of us are not only convinced we know but insist everyone else must see it like we see it. Still others don't believe anything but they see in religion an irresistible opportunity to control others so they pretend they believe and twist the Story to suit their purposes. That's what Caiaphas meant when he said it was better for one man to die than to lose the entire nation. He and his accomplices had a lucrative and effective system in place and Jesus was threatening to undermine the whole thing simply by freeing the people through Truth telling. Jesus said plainly "You will know the Truth and the Truth will make you free and you will be free indeed." Mary didn't believe until she saw Him for herself and then the disciples wouldn't believe because they heard what He said so she had to be mistaken. Pride, arrogance, stubbornness, etc... all play a role in turning religion into a divisive monster instead of a life changing amazing journey into the heart of the King. I don't know how bad the current religious war between Extreme Islam and everyone else will get but I do know we'd all see things very differently if we set aside our pride, our narratives, our need to be right, our arrogance, our prejudice and our stubbornness. There will always be details that cause us to look across the table or across the room or across the world or stare at our computer screen and think "How could they be so blind". In those moments they may be blind or maybe we are blind or maybe both sides are blind. That's why it's best to be humble, slow to speak, and abounding in love. The Truth will always come clear for all to see. In the meantime let's not be abusive about being "right". Several years ago a book was written and then a movie made based off the book. In them it was essentially stated that Jesus never died but in fact went into hiding with Mary and they had children together creating a "holy line" of children. Fascinating I suppose if you don't really think about it. If Jesus didn't die then He was a liar and a fraud and therefore anything He did could not be considered "holy". The Bible tells a very consistent Story from Genesis to Revelation about a Lamb that dies to rescue humanity from the death sentence of sin. Would Mary call Jesus "Teacher" if they were lovers? Would Jesus ask her not to cling to Him if they were lovers? However that's only a minor side issue that most people never believed anyway. Let's put our thinking caps on and discover some amazing truths that many people don't know about. Jesus asks Mary not to cling to Him because He is going to ascend to God. What does He mean by that and more importantly where has He been since Friday when He cried "It is finished" and died? Most of Christianity teaches when people die they immediately go to heaven. Clearly Jesus didn't because He tells Mary that He is "going up" to His Father. We know that Jesus' entire life had a pattern. Every morning while it was still dark Jesus "went up" to spend time with His Father. Sometimes it was on a mountainside. Sometimes it was in a garden. The consistent part was that He began every new day by spending alone time with God. Now that He has risen from the dead that has not changed. He is on His way to spend that precious vital time with His Father. What is incredibly amazing is that He delayed His going to stop and reveal to Mary what she has been blind to. He is alive! Now think about it. If Jesus went to heaven as soon as He died on Friday and spent the whole time there until being resurrected would He need to make time with His Father His first priority after coming out of the tomb? Not very logical. Many will say "But wait! Jesus became sin for us. He died the death of the wicked. He was paying the ultimate penalty for sin which is separation from God. He would not have gone to heaven under such circumstances, He would rather have gone to hell." Good point. Jesus did die for sin. He became sin. That's why we're told He also cried out on the cross "My God, My God, why have you forsaken Me?!" He was separated from His Father. That's why the whole land became dark in the he middle of the day. The Light turned away and the Light of this world became our darkness. That being the case Jesus must have immediately gone to hell when He died because the prevailing belief is that as soon as we die we either go up or down. We either enter the pearly gates of heaven or descend into the ever burning abyss of hell. But do we? Is that where Jesus went? Think about this: If the penalty for rejecting God and choosing evil and rebellion is burning forever in hell than Jesus would have had to suffer that reality in order to save us. The Bible is clear that He took our place. The Bible is clear that the whole purpose of the Lamb is to take away the penalty of sin so that all humans from Adam and Eve on down can choose life. He bought us back from the clutches of Satan by taking our sins and punishment upon Himself. So think about it: if the punishment is eternity burning in hell then Jesus would have to have spent eternity burning in hell. He would have to be there now and tomorrow and every day thereafter. Either He paid or He did not. Truth matters because as soon as we get one part of the Story wrong it affects other parts of the Story until pretty soon there is no Story and people walk away believing it is all nonsense. Mary encounters this person she assumes to be the gardener. Her emotional state and preconceived ideas prevent her from recognizing Him until He speaks her name. As soon as He does it says she turns toward Him. She wasn't even looking at the "gardener". Fascinating. The implications of this are deep and wide. We do not even look at what we think we already know about. In her mind this man was the gardener so she shielded her tears from him and did not even look his direction. She was so close to Him yet so far from Him. A while back there was a video produced and circulated around social media telling two alternate stories. One story was a guy walking down a street looking for a place and at a street corner crosses paths with a young woman. He stops her to ask for directions and she helps him find the place he is looking for. That one chance encounter leads to a friendship that leads to romance that leads to marriage and happily ever after. Then the video starts over and the same guy is walking toward the same corner only this time he is using the GPS on his phone to find his way. He comes to the same corner and she crosses right in front of him. She sees him but he is oblivious and each continues on their way. He was so close to "the one" yet never even saw her because he wasn't looking. In the video we are left believing he missed her forever. 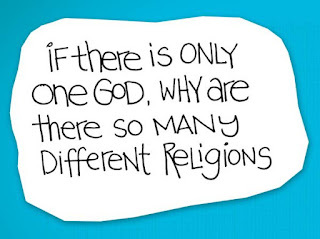 Think about God though. Do our mistakes leave us doomed? Are we left to wander in search of Him cursed to never find Him because we missed that one chance when we had our head down? "Adam, Eve, where are you?" "Cain why is your face downcast?" "Noah, Noah, you have found grace in my sight..."
For or against Him, God has been calling us from the very beginning. Every time we have turned away convinced we know what we are doing, or what the truth is, or what way is the best way, He comes calling us by name. He is the Light that lights every person that comes into the world. No matter the circumstances He comes. Through evidence, through friends, through angels, through even direct encounters He comes. Some still reject Him. Some return to Him. Some realize He was right there all along but no matter our position or choices or reaction He comes, and keeps coming. Through our fears or tears or preconceived ideas He comes in relentless pursuit. He does not push. He is not forceful or rude but He calls. "Mary". One word and she finally concedes her false narrative that He was dead and stolen and looks toward Him. "Teacher!!!" He is the Teacher. Are we willing to be students are we trusting our own GPS and missing the Divine encounters that would lead to our "happily ever after"? John Day 243 - Are We Blind? I don't want to push the point past it's best before date but can you see how committed Mary is to her belief that the body of Jesus has been stolen? One if the major themes of the gospel of John is blindness. Jesus comes into our darkness as the Light of the world and still we can't see Him. The darkness cannot comprehend what it is seeing. Seeing we don't see and hearing we don't hear. Almost the entire Jewish people rejected and ultimately crucified their own long expected Messiah because His character and message didn't fit their carefully crafted and detailed script that had been refined for generations. They saw Him and heard Him but their bias prevented them from seeing or hearing Him. Now Mary is in the same boat. She is 110% convinced Jesus is dead and that His body has been taken. Peter and John's discovery of the folded napkin did not dissuade her at all. The sight of angels in His tomb didn't cause her to question her view of events. Now Jesus is before her and speaking to her but her bowed head and tear filled eyes prevent her from seeing Him and her emotional state and desperation to find His body so she can complete the task she has come for prevent her from recognizing His voice or the familiar greeting. In short she is blind in every way. All she can "see" is her own view of the situation. Have you ever listened to two people argue and realize they are actually agreeing but are both too blind to see it? Ever been one of the arguers? First Jesus leaves physical evidence of His resurrection. Mary doesn't see it. Then He sends a friend to share with her the evidence. Her emotions and false conclusions prevent her from "seeing" it. Then He sends angels. Still no change. Finally He comes Himself. If we remain blind to His presence in our lives it won't be because He didn't try everything. If you want to be truly courageous and see things you've never seen before, be willing to question everything - yes everything - everything. Nathaniel (my 9 year old son) and I had the most amazing conversation driving home Sunday night. He told me sometimes he wonders if people just made up the Bible. I could have argued but how could I argue in the face of such honesty? Instead I told him the truth. "I used to wonder that too." Question everything means question everything and nothing needs to be questioned more closely than what we think we know about God. What the Jews thought they knew caused them to want to murder their Messiah and what Mary thought she knew left her weeping far longer than necessary. Many years ago when I was in Cape Breton I presented a message about the disciples showing how human they were with all their flaws and arguing and pride and unbelief. Someone took me aside after and was quite upset. We talked about it and I think they began to see the good news in what the Bible reveals about those 12 men who were far from perfect. Today we get a deeper insight into Mary's personality and character. A few days ago we talked about how Mary upon finding out the tomb was empty drew the false conclusion that "they" had come and stolen His body. Now fast forward. Peter and John have come and discovered evidence that stroll suggests His body was not stolen but rather He is alive. They are so convinced they consider the case closed and they return home. Now Mary remains and is as upset as ever. She stumbles through her tears into the empty tomb only to discover it isn't empty. Angels are there and they ask her why she is weeping. Her response is the exact same thing she told Peter and John. "They have taken away my Lord and I do not know where they have laid Him." It's as if Peter and John had never been there. It's as if they had never discovered the burial cloths and the folded napkin that had covered His face. She decided from the start what had happened and for her that was reality and truth. 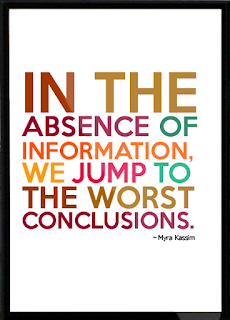 Lesson: Jumping from evidence to conclusions seems to be the one exercise all humans have mastered. 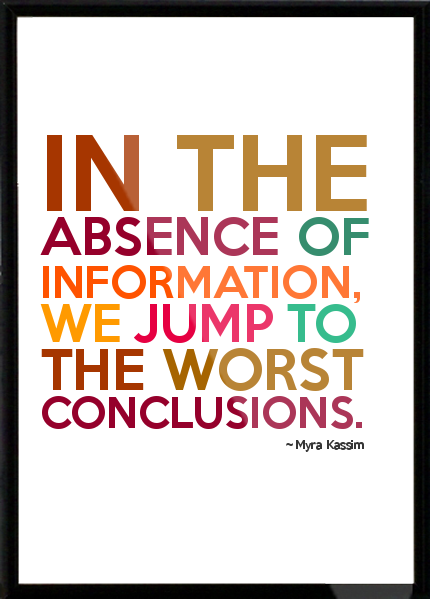 Furthermore we don't just jump to these conclusions, we cling to them even as mounting evidence stands in opposition to our reality/truth. As a pastor I have observed that it is also our nature/inclination to believe the first story we are told. If a husband comes and tells his side first we tend to believe him and if his wife tells a different story later we interpret her account through the lens of his account. The only exception to this phenomenon is when we are emotionally attached or detached from the person. If I don't like 'Bill' my tendency is to side with his wife no matter what the evidence suggests. On the flip side if I really like 'Bill' I want him to come out looking good no matter what the evidence suggests. In journalism and research this is called bias. In relationships it is called favouritism. I take comfort in the realization that the men and women who walked and talked with Jesus, who loved Him and believed in Him were as messed up as we are. That may sound crazy but if they were better than us I'd feel hopeless. Their humanity, their lumps and flaws, their propensity to misjudge and draw false conclusions inspire me. Don't misunderstand me though. I'm not inspired by their brokenness but by what Jesus was able to do with them and through them despite their flaws. 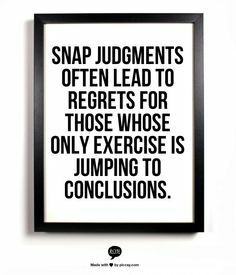 In other words, try not to get all your exercise jumping to false conclusions because it has the potential to cause you and others pain. However be comforted that if you do make a wild leap to a false conclusion Jesus will still be there to catch you or He might even send an angel or two. How much of our heartache and suffering is necessary? How many of our tears fall simply because we either don't know or don't believe? It was September 11, 2001 and Susan had been working at her desk for about half an hour when suddenly a ripple of gasps and shocked horror went through the cubicles in her office. Looking up she saw people staring at the television screens mounted on the walls around the room. Others were rushing to the windows to see the smoke rising up from the World Trade Center. 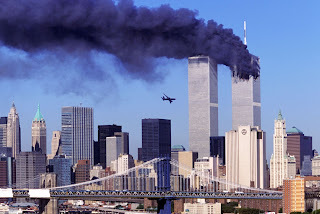 As they stood there a second plane approached and with helpless horror they watched as it slammed into the second tower. Susan let out an indescribable sound from deep within her as she crumpled to the floor weeping. Her husband worked in the top of that building. Her coworkers tried to console her. Suddenly she tried to get up. "I have to find him!" she kept muttering as she attempted to pull herself together. She stumbled to her cubicle while her coworkers tried to guide both her actions and her thoughts. Arriving there she fumbled for her keys and her phone. As she touched her phone it began to vibrate. Turning it over she saw "12 missed messages". It turned out her husband had gotten stuck in traffic and had been trying to let her know he was safe for the past half an hour but she had noticed the blinking light indicating text messages were waiting. Her moments of horror thinking her husband was gone could have all been avoided. Is she alone? Is she the only one who has suffered much more than she would have had she gotten the message? "Woman why are you weeping?" Usually the first words from an angel to a human are "Fear not" but Mary is too distraught to be afraid. Jesus is either dead and His body is missing or He is alive but gone. Either way He's gone - at least based on the information she has absorbed that is the case. "Woman why are you weeping?" It's hard to know what Mary's reaction was to this seemingly harsh ignorant question but it's likely she is too upset to be offended. To her it would be like asking someone with a freshly broken nose why they are bleeding. However the question is meant to arrest her thoughts, to get her attention. "Why are you weeping?" What is the reason? Should you be? You sat at His feet. You paid attention to His words more than anyone else. Didn't you hear Him? Jesus spoke openly about what would happen to him: His death and His resurrection from the dead. "The Son of Man must suffer many things and be rejected by the elders and the chief priests and the scribes and be killed, and after three days rise again" (Mark 8:31; see also Matthew 17:22; Luke 9:22). He also spoke of it in other ways. For example, Jesus said that if his enemies destroyed the temple (of his body), he would build it again in three days (John 2:19; Mark 14:58; cf. Matthew 26:61). He also spoke allusively of the "sign of Jonah" - three days in the heart of the earth (Matthew 12:39; Matthew 16:4). And he hinted at it again in Matthew 21:42 - "The very stone which the builders rejected has become the head of the corner." Let's face it, Mary is neither the first nor last to weep inconsolably by the grave of a loved one. Adam and Eve were the first to do so at the graveside of their murdered son, killed by his own brother. They certainly had reason to weep but the angel has gently rebuked Mary. Her tears are misplaced. Her heart that only wants to be where Jesus is has deafened her to what He said. Her emotions have choked out the message or her bias prevented her from ever hearing it. Either way the result is the same. She is weeping over a tragedy that is no tragedy at all. 1 Thessalonians 4:13 "But I do not want you to be ignorant, brethren, concerning those who have fallen asleep (died), lest you sorrow as others who have no hope. 14 For if we believe that Jesus died and rose again, even so God will bring with Him those who sleep in Jesus." You see God has sent us a Text message before the apparent tragedies of this life ever occur. Some have never gotten the message and are left to weep and wonder where their loved one went. Others got the message but for whatever reason(s) didn't believe it. 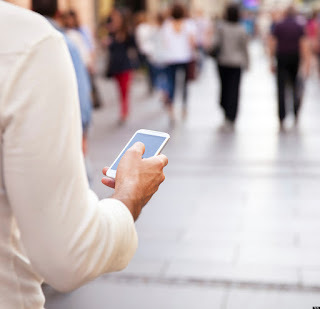 What will we do with God's Text messages? Are we reading them? Do we believe them? Are we weeping blindly over tragedies that are not as bad as we think? 1 Thessalonians 4:15 For this we say to you by the word of the Lord, that we who are alive and remain until the coming of the Lord will by no means precede those who are asleep.16 For the Lord Himself will descend from heaven with a shout, with the voice of an archangel, and with the trumpet of God. And the dead in Christ will rise first. 17 Then we who are alive and remain shall be caught up together with them in the clouds to meet the Lord in the air. And thus we shall always be with the Lord. 18 Therefore comfort one another with these words. John Day 240 - Head or Heart? 20:8 Then the other disciple, who came to the tomb first, went in also; and he saw and believed. 9 For as yet they did not know the Scripture, that He must rise again from the dead. 10 Then the disciples went away again to their own homes. You have to love the sensitivity of Peter and John. (Insert sarcastic voice) Jesus did tell them very plainly that He was leaving. 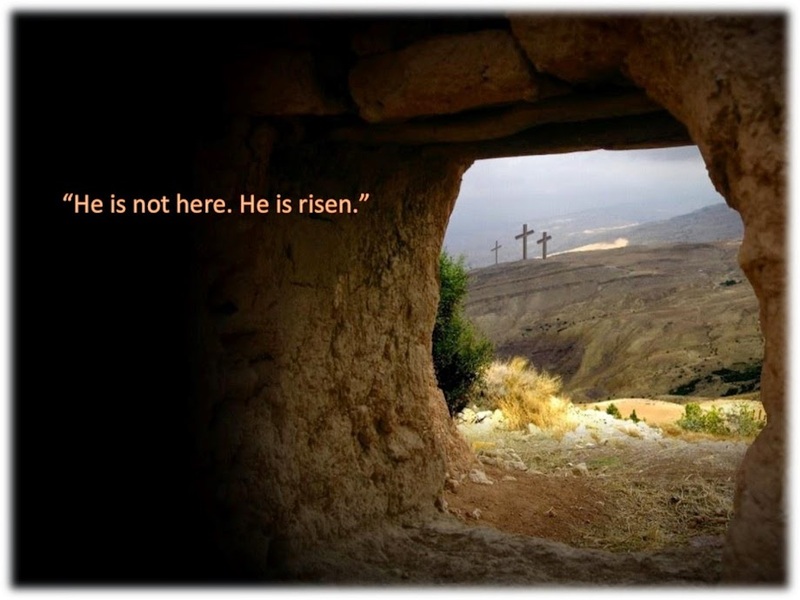 Now that they know He is alive but not in the tomb or anywhere near the tomb they assume He must be gone. Not only did He say He was leaving but He said where He was going they could not follow Him now. So taking Him at His word they turned around and went back home. No point in hanging around an empty tomb. Meanwhile Mary is still there. This seems to be of no concern to them as they brush past her and head back for breakfast. Her tears don't seem to even be noticed by them. However for Mary it's not as simple as "well He's gone, let's go home." She is devastated. Notice the huge word that pops up all through the Bible - BUT. Peter and John headed home BUT... But Mary stayed. She didn't know why she was staying she just knew she couldn't leave yet. Think about it. Why do we visit cemeteries? There is no one there. Why do we leave flowers or other tokens of affection? There is no one there to appreciate them. We might as well be all logical and stay home or go home. It's just silly right? Yet we go and we linger. Those who loved most linger longest. Mary can't leave. Gathering her courage she enters the dark tomb. She has to see for herself. As she stoops to go in she sees light. She isn't alone! Whether the other Mary is still with her we are not told but someone is in the tomb! As she gets in far enough to see she sees two men. They are no ordinary men either. They are angels! One is sitting where His feet had been and the other where His head had been. Perhaps one unwrapped His head and face and folded the cloth while the other unwrapped his body. Who knows. Lesson: The word But frames some pretty important lessons in the Bible as does the word If. Track those two words from Genesis to Revelation and you will discover lots but if you don't you won't. That is the lesson here. Mary was tracking Jesus. She just wanted Him. Wherever He was she wanted to be and if she didn't know where He was she stayed where he had been. Because of her relentless pursuit of Him she was always in the middle of the action. She was the first to know the tomb was open and empty and now she is the first to get word from Heaven about what is going on because she lingered when everyone else left. While Martha is cooking Mary is sitting at His feet. While everyone is feasting Mary is washing His feet and anointing Him with perfume. While everyone is sleeping Mary is headed for the tomb. When everyone leaves Mary lingers. Peter's logic sent him home. Mary's heart kept her close. Why didn't the angels show up for Peter? John Day 239 - The STORY or Lies Backed By Scripture? 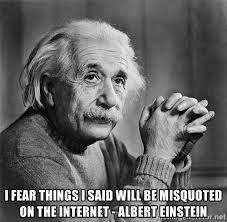 Have you ever been quoted? Have you ever been quoted in such a way as to make it sound like you said something you didn't? It is pretty easy to do. You make a leading statement, then insert a quote from someone that seems to agree with your leading statement and then draw the conclusion. Anyone who does not do their homework to find out where the quote came from will assume you are telling the truth unless... unless they know the character of the person you are quoting. I read the summary of the GOP debate this morning. It sounds like things are getting a little personal. It would be foolish for me to draw any conclusions for two reasons. First I didn't see the debate myself and secondly I don't know the characters of those involved. At best I can only draw surface conclusions. To only read the summary of the debate written through someone else's eyes is to let someone else do my thinking for me. Do we do the same with God? Do we read some quotes here and there (verses) framed by leading statements followed by conclusions drawn and then pass judgement on God or decide what He is like based essentially on hearsay? Repeatedly in the Old and New Testaments we are told we will find Him when we search with all of our hearts. Are we doing that or are we letting others do it for us? Can we trust their synopsis? Our text from John today is a little odd. Yesterday we read that Peter did a full investigation of the tomb and then John joined him. When John saw the folded cloth that had covered Jesus' face it says he believed and then the two of them went home, each to his own house. Weird. To explain this weird reaction John writes "They didn't (yet) know the Scripture that He must rise from the dead." Skeptics say there are no such Scriptures and they are right... sort of. But consider this: Neither the disciples nor any of the Jews expected the Messiah to die. Why would you expect or even need a resurrection if He never died to begin with? It was Jesus Himself who first began to speak openly of both His death and resurrection but the bias of the disciples was so violently opposed to His dying that they had no need to ponder and probably never even heard His talk of rising. Also did you know that the Sadducees, the largest and most politically influential sect within Judaism did not even believe there was any life after death? So what we have is an entire nation/religion reading/interpreting the Old Testament through the lens that the Messiah would never die and indeed there may not be life after death anyway. The men we call the disciples were born into this view of things. They inherited these "truths" and focused in on the Scriptures that seemed to support it. When I was in high school I became close friends with a Jehovah's Witness. She gave me a book that outlined their beliefs. The book was full of quotes from the Bible but always framed by leading statements followed by conclusions drawn. How convenient. Then I was forced to admit that my religious experience and learning had been much the same. It creates the illusion in the followers that they are reading the Scriptures when in reality they are reading a narrative sprinkled with Bible verses ripped from their context and made to appear as if supporting the narrative. See a Sadducee could preach that there was no life after death and misquote the Bible to support the claim. However what about the dead boy that came back to life after Elijah prayed for him? What about the dead boy Elisha prayed for? What about corpse that came back to life when Elisha's dead body touched it? What about the 3 people Jesus raised to life after death including Lazarus who had been dead for days and already buried? What about nature that comes back to life every spring? What is my point? My point is not that Peter and John missed a quote somewhere. The truth is you won't find a quote in the Old Testament that says "The Messiah will rise from the dead". My point is much more elementary than that. My point is that they missed the Story of Scripture. They were so lost and confused in quoting snippets to support a prepackaged narrative that they lost sight of the whole point of the Story which is to rescue us from death. How could the Messiah who clearly dies in Isaiah 53 ever complete His rescue mission if He stayed dead? Life after death is not an obscure part of the Story that they overlooked. It is The Story and they missed it entirely, lost in a narrative that religion wrote for them. How about us? Are we using a prepared script to get our truths from? Are we reading someone else's synopsis and assuming it is true? John Day 237 - Community or Cult? John Day 226 - So Much About Blood - Why?